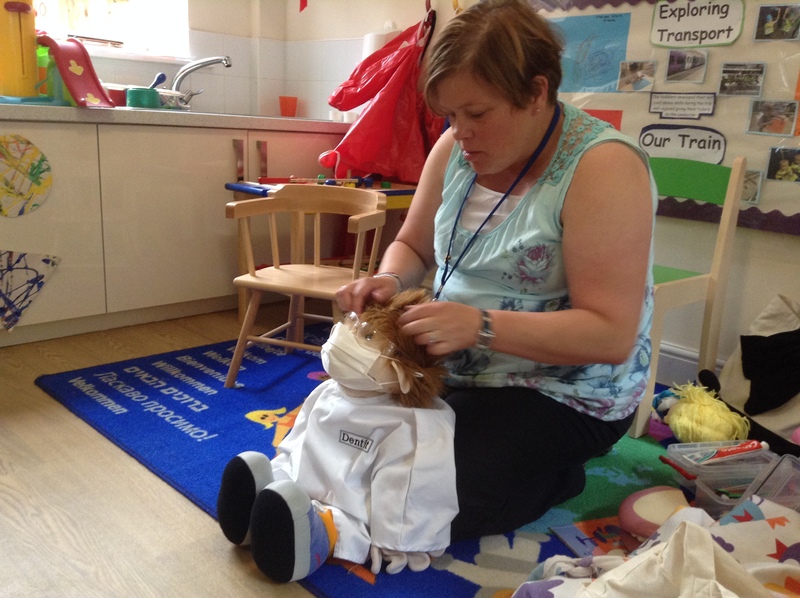 NEWS 19.8.15 – Today we had a visit from the Dental Playbox Company and the children learned all about how to look after their teeth. Lots of fun was had by all and we are all very excited to be continuing to look after our teeth! NEWS 13.7.15 – The children are enjoying the independence our new water cooler has given them. The pre-school children have been role modelling how to get a cup and fill it carefully by pressing the tap on the water cooler to help themselves to delicious, cold water whenever are thirsty. NEWS 8.6.15 – We had our unannounced food hygiene inspection today and are delighted that we have been awarded the highest rating – 5 stars! Well done team! NEWS 1.6.15 – Lots of children have been off on holiday recently and at our pre-school council meeting this month, the children were keen to talk about holidays. This then led to their suggestion to pitch a tent in our garden and “Go camping at nursery!” We are going to pitch up this month, fingers crossed for sunshine! NEWS 12.5.15 – We are all looking forward to our family fun day this Saturday, complete with toys and games, a bouncy castle and a guest appearance from Peppa Pig. Leanne has been busy creating some delicious snacks and treats for everyone to enjoy. Fingers crossed for sunshine! NEWS 23.4.15 – There was great excitement amongst everyone today when we went outside and released the butterflies that we have watched develop from tiny caterpillars. The children and staff have been absolutely fascinated with the whole process! Ask them to tell you all about it. NEWS 17.4.15 – We are looking forward to our first pre-school council meeting next week and have various items on the agenda. 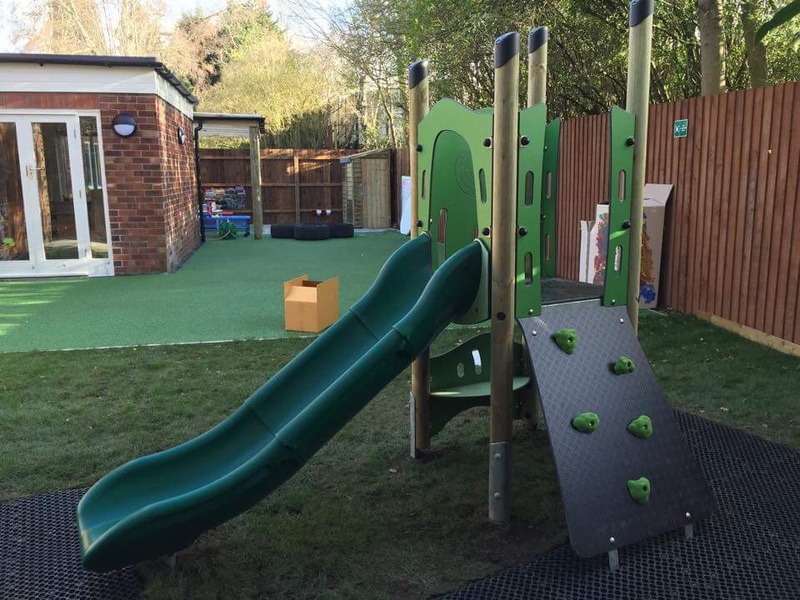 It’s one of the ways we get the children’s input on their views of the nursery and how we can improve it. NEWS 8.4.15 – Everyone has enjoyed exploring our local community this week and enjoying the glorious sunshine. We have been to Bramhall Park and Simply Books for story time, the children were very excited! NEWS 1.4.15 – We all had a lovely time yesterday when we invited our parents in for egg hunting, bonnet making, singing and egg and spoon racing! NEWS 28.3.15 – We are very excited to announce that we are having an open day on Saturday 16th May, 10.30am – 1.30pm. Come and see us – Peppa Pig is even popping in at 11.30am. We have booked a bouncy castle so fingers crossed for sunshine! 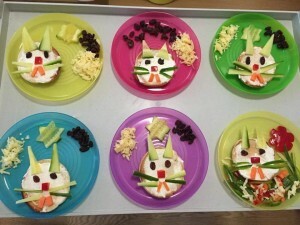 NEWS 16.3.15 – The children loved eating a special breakfast with their Mums on Friday. 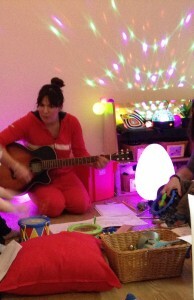 It was also Comic Relief so here is a photo of Ceri in her red onesie, playing the guitar for music time at the Mother’s Day breakfast. Lots of fun was had by all, then the children went on a trip into the village with the Red Nose Day cakes they made. What an exciting Friday! NEWS 11.3.15 – We are looking forward to hosting our Mother’s Day breakfast this Friday from 8.30am. We will also be wearing red to support Comic Relief. NEWS – 6.3.15 – Look what has just been installed! NEWS 4.3.15 – The children thoroughly enjoyed their healthy and creative snacks today thanks to our talented chef Leanne! NEWS 2.3.15 – Today we are launching our mud kitchen, it’s going to get messy! NEWS 26.2.15 – We have had a busy day exploring our senses today. 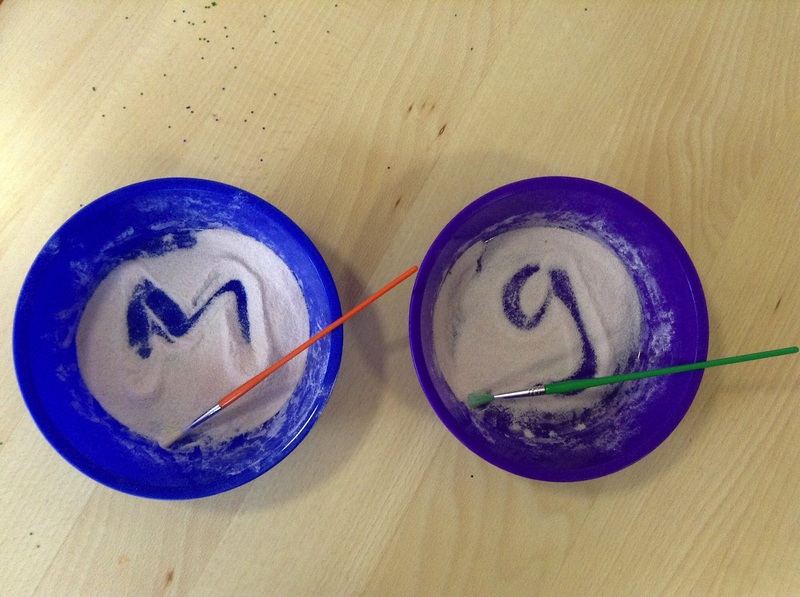 We played in the sand, built towers using shaving foam as our “cement” and practised writing the alphabet in a tray of powdered angel delight! NEWS 23.2.15 – We are welcoming our first children into the nursery this week now they have completed their settling in sessions. Everyone has had a great day in the sunshine playing with sand, water, bikes and footballs! The toddlers particularly enjoyed exploring paints on big blocks of ice – fascinating! The new blinds are now installed throughout the building and helped the babies and toddlers drift off to sleep in the calm environment of the sleep room. NEWS 18.2.15 – Today Paul has been busy completing the turfing of the lawn and it’s looking great. We have also started the settling in sessions for children and they have had lots of fun exploring the sensory room and the garden today! NEWS 17.2.15 – We are delighted to announce that we are now officially open having received our Ofsted registration. Please feel free to pop in anytime to meet our team! NEWS 25.11.14 – Today Ceri has attended some very useful and insightful training. We are now busy planning our exciting treasure baskets for our babies and toddlers to explore! Lots of adventures await the children…..
Did you know that your baby is still learning as they sleep? Their eyes and ears can rest while their brain is busy and consolidating what they have experienced! NEWS 19.11.14 – Today we have been looking at our delicious new menus. We will be using the Eat Better, Start Better guidelines to ensure children receive the most up to date nutrition. Trying new foods with your little one? Put a small amount of new food on her plate and let her see and possibly try it. Even if she doesn’t touch it, still keep putting it on the plate in the future. Allow her to spit it out if necessary, this allows her to take control of what she eats. A new food has to be offered up to 15 times before a child accepts it! !